A change to a software development artefact, such as source code or documentation, can affect the integrity of others. Many contemporary software development environments provide tools that automatically manage (detect, report and reconcile) integrity. For instance, incremental background compilation can reconcile object code with changing source code and report calls to a method that are inconsistent with its definition. Although models are increasingly first-class citizens in software development, contemporary development environments are less able to automatically detect, manage and reconcile the integrity of models than the integrity of other types of artefact. 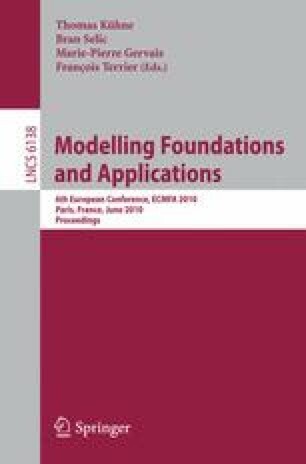 In this paper, we discuss the scalability and efficiency problems faced when managing model integrity for two categories of change that occur in MDE. We present a framework to support the incremental management of model integrity, evaluating the efficiency of the proposed approach atop Eclipse and EMF.